Trying to work out where to stay at the Great Barrier Reef? Discover a great selection of accommodation, the length and breadth of the Great Barrier Reef and beyond. Search for hotel rooms and book online. Great Barrier Reef's islands are simply enchanting, with the choice of over 100 islands from unique and exotic islands to the world famous Whitsundays. Queensland is unique amongst the Australian states in that it has a number of genuine coastal capitals. Discover a diverse range of experiences in the Great Barrier Reef. The Great Barrier Reef is a gathering of brilliant, vivid coral providing divers with the most spectacular underwater experience imaginable. Innisfail is steadily placed between extensive agricultural lands and stunning natural rainforests, which only adds to its alluring splendor. It rests on the banks of the North and South Johnstone Rivers, about five kilometres from the Far North Queensland coast. Despite the sugar and banana industries that dominate the economy here, tourism plays an important role for the town too. There are plenty of enjoyable things to do and beautiful attractions to see while holidaying in Innisfail. While staying in downtown Innisfail, visitors are encouraged to take a stroll through the town. The commercial centre is home to plenty of restaurants that feature different ethnic cuisines, including Italian, East Asian and Indian. There are also some fascinating heritage-listed landmarks to discover, such as the Courthouse and Canecutters Memorial. Innisfail is famous for its annual harvest festival. Generally held in October, this event attracts thousands of locals and tourists, with its abundance of food, music and performances. The festival is usually located along the main esplanade. The town is among Australia’s wettest, and as a result, is one of the greenest destinations in the country too. The local golf course offers 9-holes (18-hole composite) of luxurious greenery. Leave the family at the hotel and enjoy swinging the clubs at one of Queensland’s most picturesque golfing links. If the great outdoors is something tourists are looking to embrace, then no landmark near Innisfail boasts such an enticing reputation like Mount Bartle Frere. Queensland’s tallest mountain is only 15 minutes by car from the town centre. On days when the summit is not covered by clouds, a spectacular view of the Atherton Tableland is the reward when climbers reach the top. Innisfail has few charming hotels, perfect of a romantic getaway, weekend escape or family vacation. Share your inside knowledge, whether it be good places to stay or eat nearby, unusual places to visit in the area and any other information about this destination. Innisfail is among Australia’s wettest towns, and as a result, is one of the greenest destinations in the country. greatbarrierreef.org is a 'Web Magazine' website that is dedicated to all things related to the Great Barrier Reef. We are passionate about Australia's great natural wonder, its vast marine life, its golden sun-kissed beaches, its warm turquiose waters and the unforgetable experiences that are waiting for all who visit. Our aim is to discuss the Great Barrier Reef, its history, its environment, its marine life and its spectacular destinations. 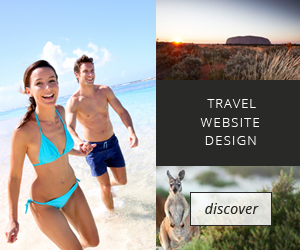 We hope that this website will inspire all who visit, just as much as the Great Barrier reef has inspired us.